Sloanbook: This Is It: Baseball. It's Kevin's last year being eligible (4th year) for Baseball. 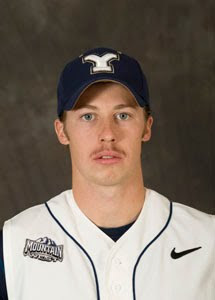 Kevin's Baseball picture for this year got put up on BYUcougars.com and I thought I would put it up along with his last year's one for kicks (considering I didn't have a blog then and it is funny). Kevin, I hope you have the best baseball year at BYU ever. :) I love you. 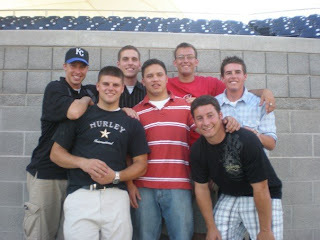 Kevin Sloan, BYU Baseball 2009-2010. 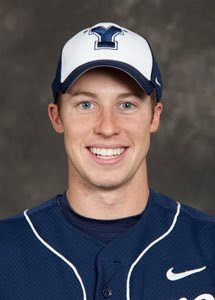 Kevin Sloan, BYU Baseball 2008-2009. Some guys on the team who served missions. Don't remember what year this was. I just liked this picture so I threw it up on here.